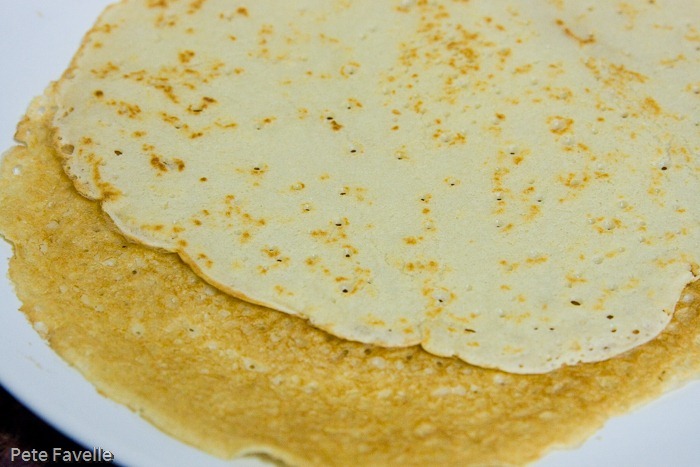 As I’m sure you must be aware, today is Pancake Day, a feast day with a long history which these days is just an excuse for the supermarkets to sell you cheap frying pans and lemons. 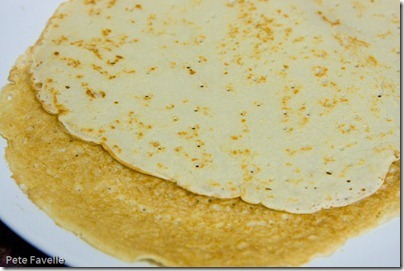 I’ve always loved pancakes, and this year I decided to see how they turned out when made with beer. Pancakes are, after all, just a thin batter and pubs have been making beer battered fish for decades. 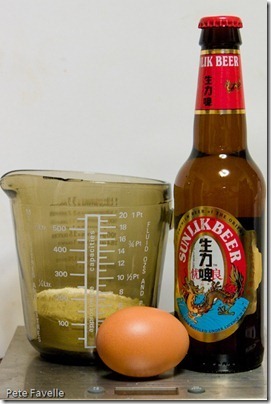 I wanted the beeriness to come through strongly, so I took a basic batter recipe and completely replaced the milk with beer – which means this is a recipe suitable for the lactose intolerant among you! 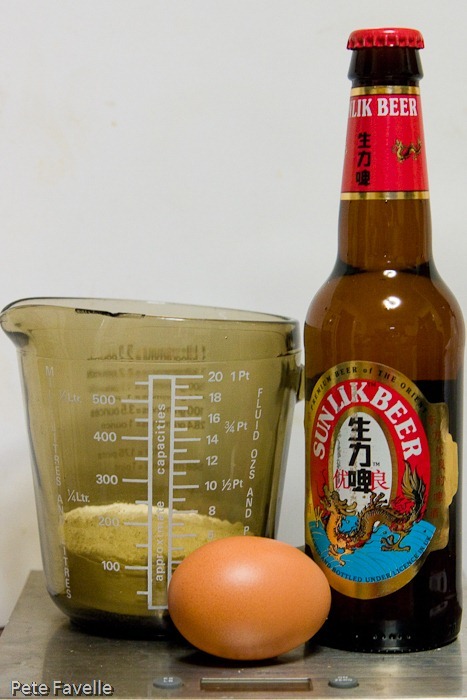 My first attempt was using Sunlik, a Chinese beer that I tend to always have in the cupboard (oh come on, beerophiles, I’m sure we all have our secret fridge beers). The resulting pancakes were tasty enough and Kavey declared them to be “perfectly beery”, but the beer wasn’t quite right for me. 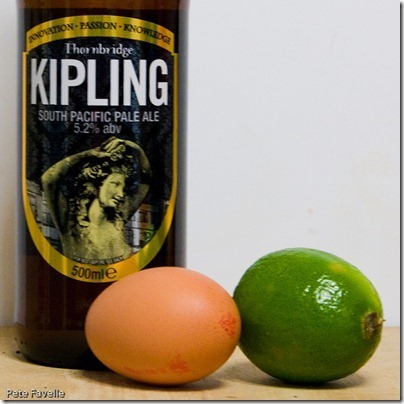 So for my second attempt I wanted something with a big, floral citrus hop character and what better than Thornbridge’s excellent Kipling South Pacific Pale Ale. Feel free to substitute your favourite beer – I would normally suggest avoiding anything too hop heavy for cooking, but pancakes don’t really cook long enough to make the hop bitterness unpleasantly pronounced. Put all the ingredients in a jug and whisk them together, making sure to mix all the flour in. 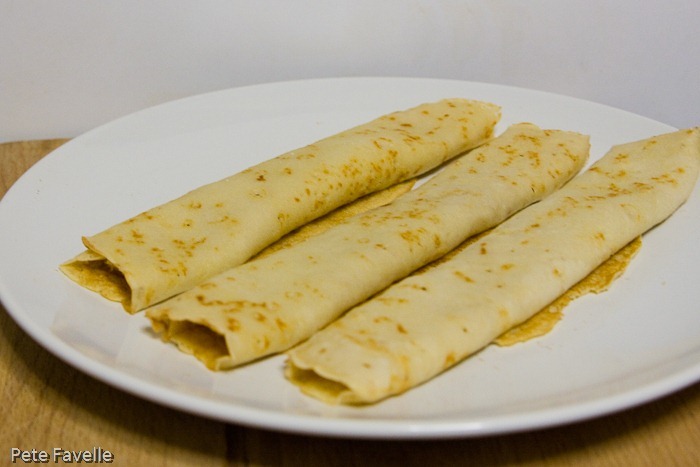 I like my pancakes thin, so I aim for a single cream consistency – if you prefer thicker pancakes, then reduce the amount of beer. While you whisk, put a large frying pan on a high heat. Let it get properly hot; if you’re too impatient then your first pancake will go horribly wrong and end up in a crumpled mess. This is perfectly normal. 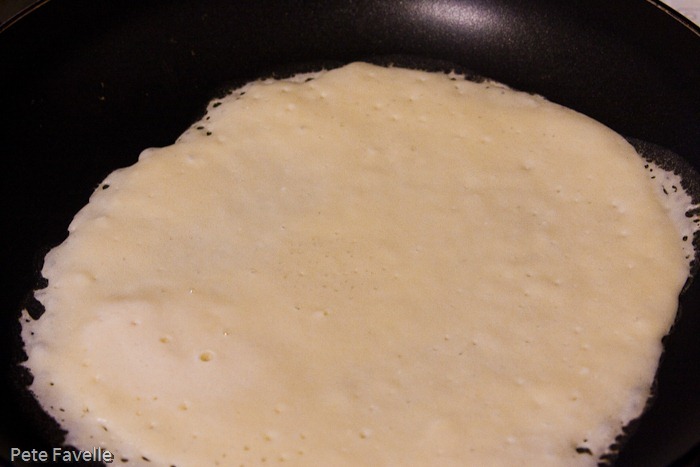 Pour “some” batter into the pan; I get about four pancakes out of the ingredients above. 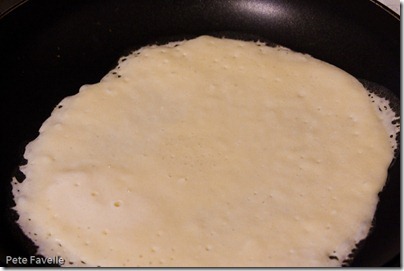 As soon as it’s in, tilt the pan around to allow the batter to spread out nice and thinly. Then let it cook for a few minutes, until the top it properly dried out. Resist the temptation to poke at it. Once the top has dried, the bottom will have turned a nice golden colour. Ease up the edges with a spatula and once it comes loose, flip it over and allow the other side to cook for a couple more minutes. When it comes to eating pancakes, I’m a traditionalist but for my Kipling version I went for lime juice and sugar, instead of lemon juice. 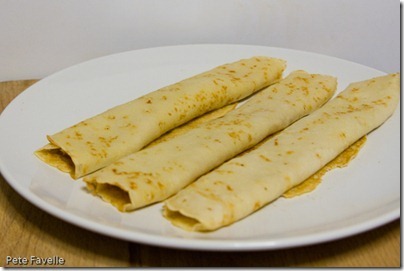 Sprinkle the juice and sugar sparingly over the pancakes, roll them up, and enjoy! 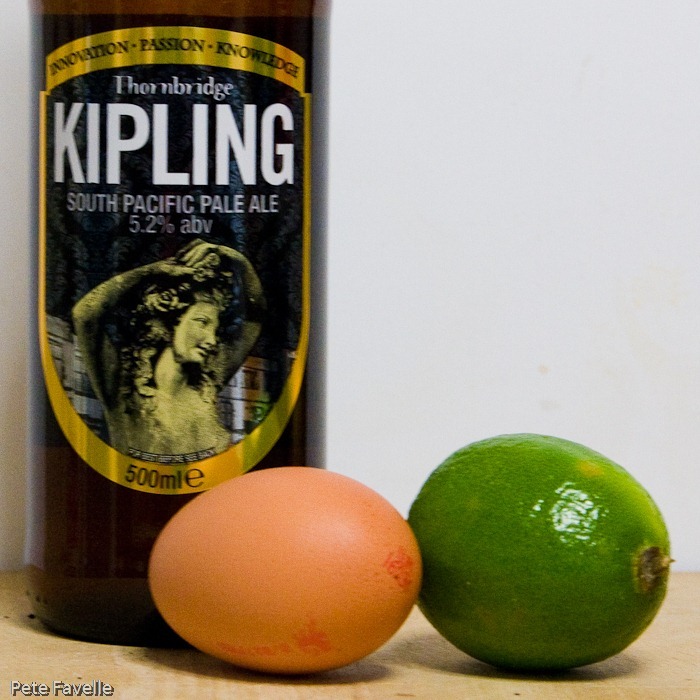 The beer makes the pancakes light and fluffy, and the floral hops from the Kipling come through and complement the lime beautifully. The other benefit, of course, is that you’re left with half a bottle of beer to enjoy with them!